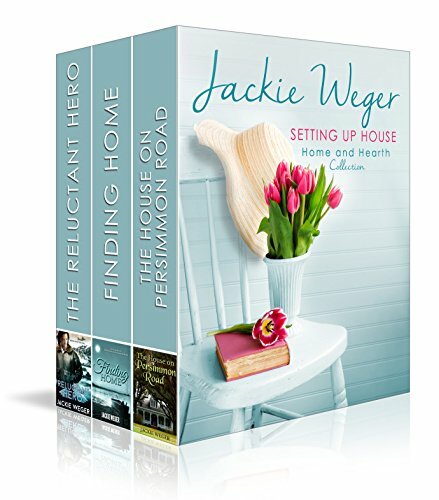 Just in time for summer, Setting Up House, a collection of Jackie Weger's three most popular full-length novels packed with love and laughter and adventures of the heart. 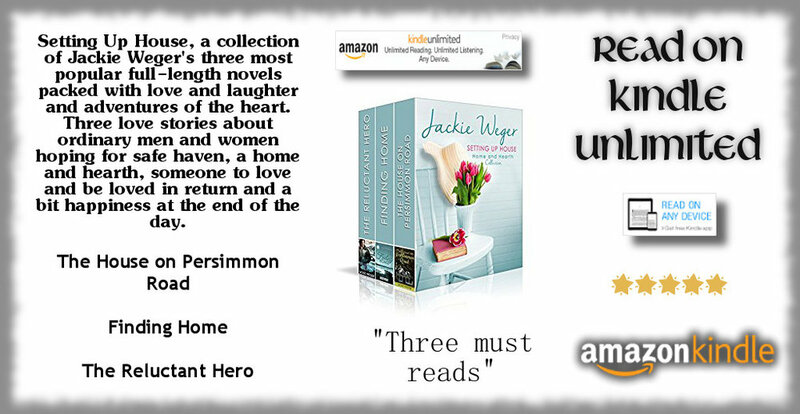 Three love stories about ordinary men and women hoping for safe haven, a home and hearth, someone to love and be loved in return and a bit happiness at the end of the day. Join Justine Hale in The House on Persimmon Road as she moves her eccentric family into a house rented sight unseen in Alabama's rich delta land. Justine is flummoxed when she discovers the house is owned by a Civil War ghost with her own agenda. Follow the high jinx of Phoebe Hawley, country as they come, but full of moxie and pride on her quest to find her family a home in a tiny fishing village on the Gulf Coast. The earth tilts during the summer solstice. Phoebe is determined to put it right because family is everything. Stay cool all summer with The Reluctant Hero as Rebecca Hollis, tasked with finding homes for five orphans, finds herself battling the elements and worse--a lonely pilot who considers the lot of them the most irksome freight he has ever hauled in his life.